Sounds Like New Jersey is an interesting video showing how much musical talent has emerged from all over New Jersey. Fame came to Maxwell’s back in the 1980s and it has since become a Hoboken landmark as revered as that other Hoboken celebrity Frank Sinatra. Through the years rock stars and wannabees have set up their amps and drum kits in the small back room reminiscent of the old CBGBs in the East Village. 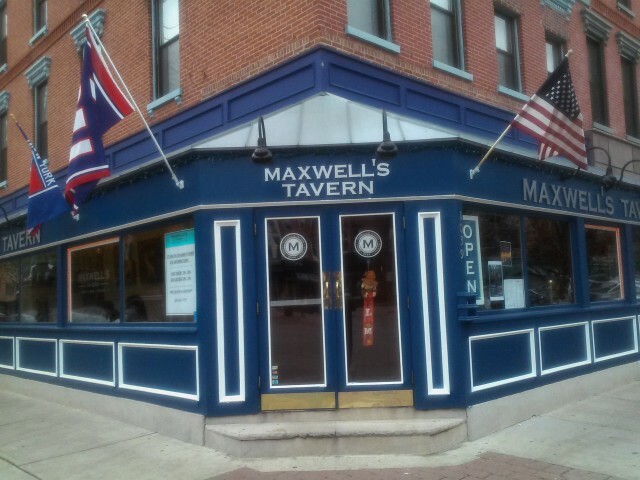 And along with live music, Maxwell’s features a big beautiful bar that dates back to when the place served boilermakers to longshoremen who worked the docks. 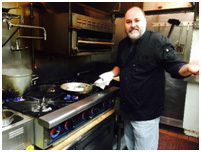 Good food has always been a big part of Maxwell’s allure. Whether it’s the Angus beef burgers on the bar menu or the omelets served at brunch, hearty dishes of American fare – nothing fancy – just substantial good food keep Maxwell’s customers nourished and coming back for more. 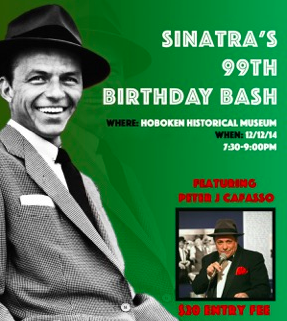 Hoboken’s ‘Native Son’ Frank Sinatra grew up in a town quite different from what it is today. There were no Starbucks or even PATH trains when Sinatra was born in 1915. And when he was old enough, the ‘skinny blue-eyed kid’ began singing in his parents’ saloon. That’s where Sinatra learned his trade, crooning to locals at Marty O’Brien’s saloon. How many people can say Frank Sinatra’s mother brought them into the world? Born in Hoboken under the watchful eye of midwife Dolly Sinatra (she was a neighbor), Al Certo was raised in Hoboken where he dreamed of being a dancer but, instead, built two careers as a professional boxer and men’s tailor, Certo weaved back and forth between those two worlds until he eventually hung up his gloves and threw himself into herringbones and tweeds. 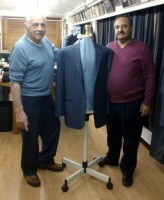 Certo’s Custom Tailors has thrived in Secaucus for more than 50 years. 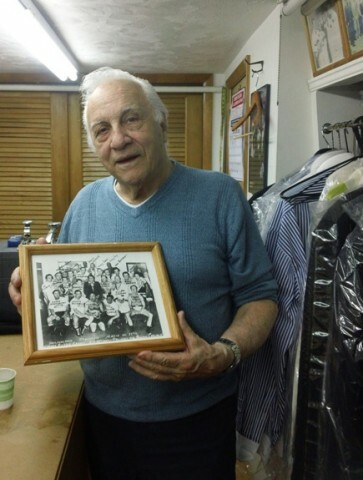 Back in the day Certo’s shop was two floors with eight tailors handling the orders; today, the top floor is now a pizzeria and Harsh Khindri who has been with Certo for 15 years handles most of the work. 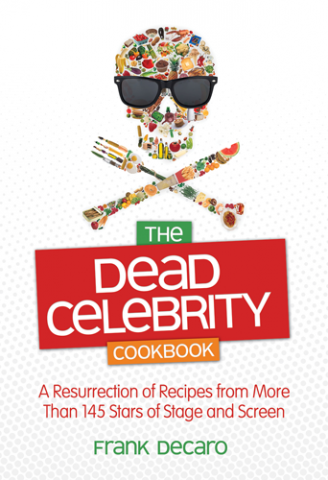 New York, NY, January 30, 2013 – For anyone who loves Hollywood memorabilia, is an entertainment junkie, and loves to eat and cook – they will treasure Frank DeCaro’s The Dead Celebrity Cookbook: A Resurrection of Recipes from More Than 145 Stars of Stage and Screen (HCI Books). 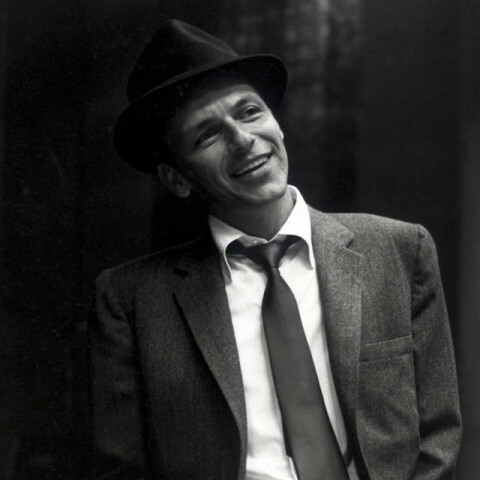 Frank compiled favorite recipes from some of Hollywood’s biggest names; including Lucille Ball, Elizabeth Taylor, Sonny Bono, Liberace, Michael Jackson, John Denver, Frank Sinatra, Rock Hudson, Humphrey Bogart, and Peter Falk, just to name a few. “Flip on a movie channel and get cooking! Required reading.” – Billy Heller, New York Post. “We hear Rock Hudson’s Cannoli is delicious!” – Entertainment Weekly. 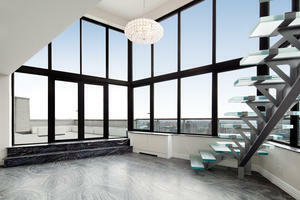 Hey Hudson County -Frank Sinatra’s Big Apple Penthouse for Sale! Who knew – or remembered – that Frank Sinatra owned a stunning New York penthouse that was way ahead of its time? Judging by his other glamorous digs over the years, his only-the-best-will-do taste and flair for the dramatic certainly shows in this co-op where he lived while his short term marriage to Mia Farrow played out. Frank and pixie-faced Mia met on the set of Sinatra’s film Von Ryan’s Express in 1965. They were married in 1966; lived in this stunning glass-walled penthouse in New York and were divorced by 1968. When Mia’s movie Rosemary’s Baby production time ran over and she refused to quit the film to be in Sinatra’s film The Detective, The mega-star was very upset which began the break in their marriage. Sinatra, handed Farrow her the divorce papers in front of her cast and crew of Rosemary’s Baby. If you love to entertain, this is the place for it. The 18’ ceilings with glass walls overlooking the river add drama and setting while you tell your guests that Ol’ Blue Eyes designed the space when it was under construction in 1961, and how his pal Sammy Davis Jr. enjoyed tossing champagne glasses down on FDR Drive from the apartment’s terraces. With a modernization undertaken by the current owner after she bought it in 2008, the 3,200 square foot apartment has 4 bedrooms, 6 baths and an additional 2,000 square feet in two wrap-around terraces overlooking the East River.